Time frame: 15 to 20 working days from the moment we get your samples at the laboratory. Any other tests you can suggest? 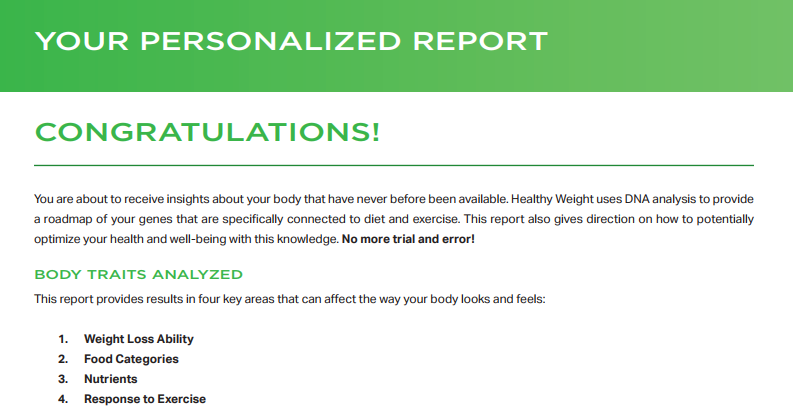 Our Weight and Wellness DNA test could be the solution to your problem by helping you manage your weight and find an optimal diet that is tailored to your genes. To formulate a winning weight management and fitness programme you need to know what is enclosed in your DNA. Click here to read more.